The high-performance, low-power Atmel 8-bit AVR RISC-based microcontroller combines 128KB ISP flash memory with read-while-write capabilities, 4KB EEPROM, 8KB SRAM, 48 general purpose I/O lines, 32 general purpose working registers, real time counter, 4 flexible timer/counters with compare modes and PWM, USART, byte oriented 2-wire serial interface, USB 2.0 low-speed and full-speed device, an 8-channel 10-bit A/D converter with optional differential input stage with programmable gain, programmable watchdog timer with internal oscillator, SPI serial port, JTAG (IEEE 1149.1 compliant) interface for on-chip debugging, and six software selectable power saving modes. Earlier this summer, Makers Juan Tendero, Jordi Tendero and Jose Manuel Quiles announced that they would launch a new 3D printer, capable of printing Filaflex filament at speeds faster than any other desktop machine on the market today. In doing so, the team had launched its Lewihe 3D printer on Indiegogo, seeking $60,000 to further production. While they were unable to garner the targeted amount, the group did utilize the pledged $11,105 to expand their capabilities. 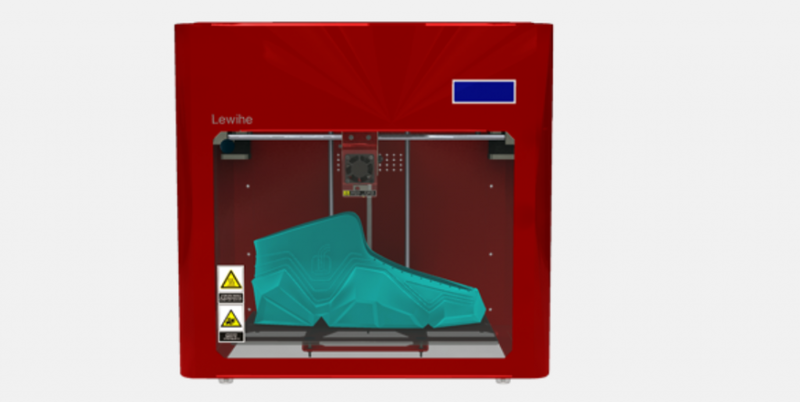 Now a couple of months later, the team has resurfaced to announce that they will be unveiling another printer, the Lewihe Sneaker. Though larger than the company’s previous machines, the Sneaker will still be based on the same core XY system. 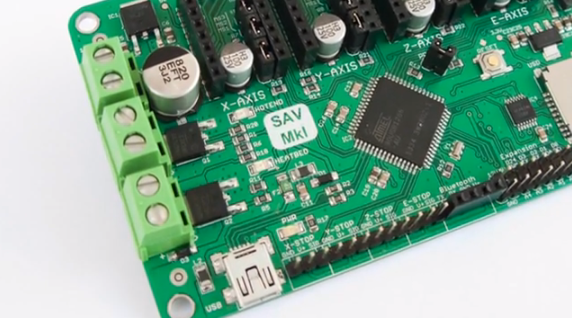 Each of the recently-announced devices are powered by an Atmel AT90USB1286 based SAV Mk-I board. This entry was posted in 3D printer and tagged 3D printer, ATmega2560. Bookmark the permalink.